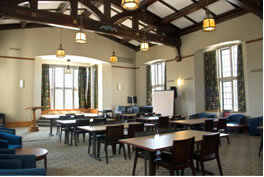 Workshop space is available at the Chapman Learning Commons on Level 3 of the Irving K. Barber Learning Centre. The Chapman Learning Commons, located on Level 3 of the Irving K. Barber Learning Centre on the UBC Vancouver campus, includes two workshop spaces, the Dodson (302) and Lillooet (301) Rooms. 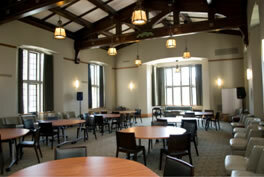 The Dodson and Lillooet Rooms are available for booking by UBC faculty, staff and students. Room booking fees may apply. This page was last edited on 30 July 2012, at 20:28.